Snowmen, carolers, reindeer, and other fun holiday-themed characters are ready to celebrate in Super Sticker Activity: Christmas! Perfect for at home or on the go, this 32-page book contains fun and engaging activities featuring childrens' favorite things about Christmastime. 75+ super puffy stickers are included for additional hands-on amusement. 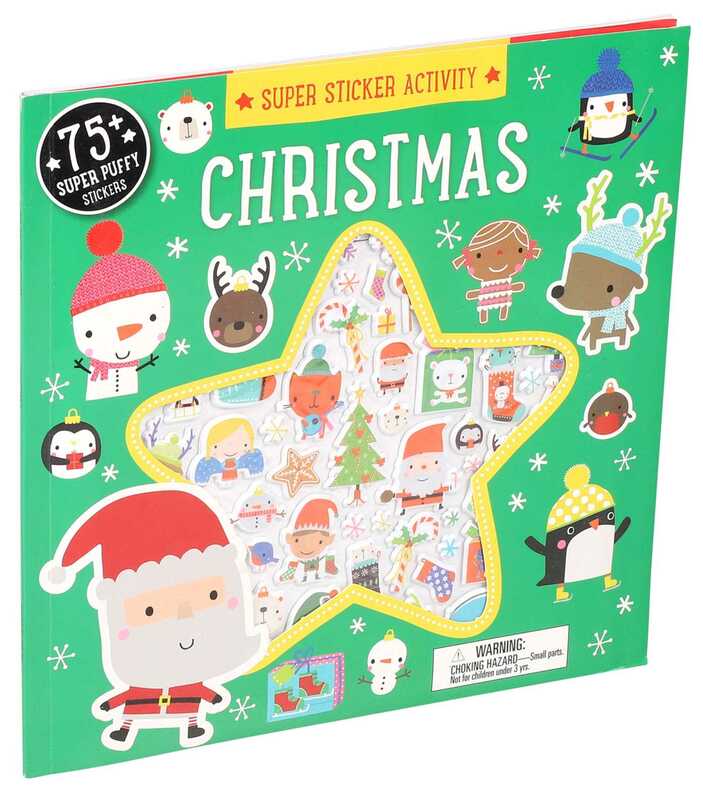 Whether it's doodling or a search and find, Super Sticker Activity: Christmas provides hours of sticker and activity fun!